It's 2019 and it seems as though everyone and everything is being videoed, photographed, and put on the internet for all to see. So why not church services? Of course there already are channels on television like Trinity Broadcasting Network (TBN) that air church services and programs and there are big, world-renowned churches like Jesus Culture, Bethel Church, and Hillsong Church that live stream services on the internet. What about your church? Do you want to reach outside of your walls and into your specific communities? Live streaming services reaches an audience outside the physical walls of the church. One of the most easily identified benefits to live streaming your church service is allowing members who cannot make it to the physical service a chance to still watch. Members may be sick, out of town, or for any other reason unable to make it. Giving them an option to still watch the service increases their connection to the church and allows them to worship and hear the Word of God from anywhere they might be. Many reasons why a church may not want to set up live streaming services is the belief that it’s too difficult or time-consuming. On the contrary, it’s as easy and convenient as ever. Whether you are using a computer or mobile device, setting up and recording church services is quick and easy especially when using a live streaming service such as Omnia. We give you step-by-step instructions on how to get set up while also providing live support should there be any bumps in the road. It is so easy, in fact, that you can be actively live streaming within 3 minutes of signing up. One of the big myths of live streaming is that it is expensive. Some people see large, prominent churches live streaming services and believe that their church cannot do the same because they have a smaller budget. Even with the smallest of budgets, live streaming is still an option because when you use a service like Omnia, we provide different plans starting at our Forever Free Plan as well and paid plans as low as $14/month. Let’s be honest — announcements are difficult at church especially if there is a deadline to sign up (like a retreat). You can advertise in a bulletin or newsletter, put reminders on the projector or screens, hand out flyers, and have people announce events on the stage. Even after all that, churchgoers still have a hard time keeping up to date with events and signing up on time. Live streaming services is just another way to reach church members who may have missed a couple of services but still want to be kept in the loop of important dates and events at your church. When it comes to sporting events (Superbowl, World Series, National Championships) or live award shows (Grammys, Oscars, etc. ), not many people want to watch a recording of it or just hear how it was from someone else. There’s a feeling you get when you watch something live that makes you feel a part of the event and lets you experience it and the emotions associated as though you are there in person. The same goes for church services. Watching a service live allows churchgoers to feel like they are participating and a part of the church even when they are physically not there. Although it’s great to watch services live, sometimes it just is not possible. Because of this, when live streams are finished, they are archived for future viewing. With Omnia you can archive your services and have them available to be watcher as many times as your viewers want. This is especially important if you have a special service such as Easter, Christmas, or another event that you want others to see who may not have known about it or were somewhere else. It may not even be a special holiday service but rather a service that was especially impactful that one of your members wants to watch again or share with a friend. Having these memories saved can be very special and important to your members. I had been going to the same church for 24 years before I moved to a new area. Trying to find a new church was difficult but one of the first things I did to find out about a church was check out a service online. Newcomers want to feel comfortable, and to do that they usually will want to check out your church beforehand. 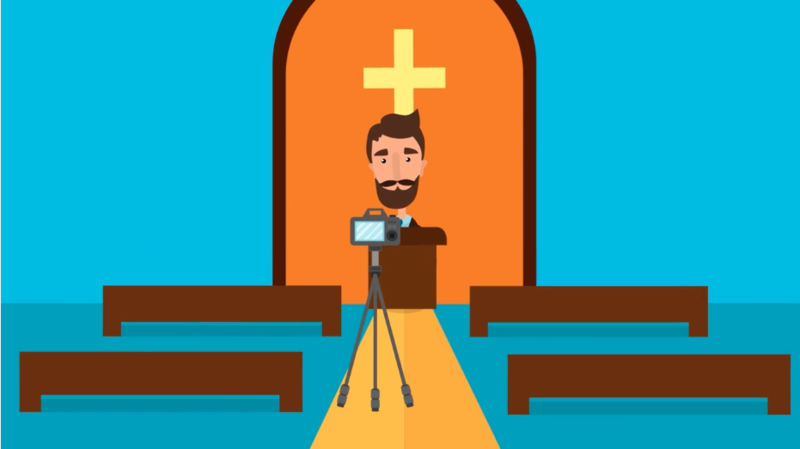 Live streaming your services allows them to see what they can expect from your church and helps them make the decision to check it out in person. The Church’s divine mission is to reach as many lost and broken people that we can. Live streaming is just another tool that can be used to spread God’s grace and love. With this list, I hope you have a better picture of why live streaming is important and why your church should start.